Woratep Rattana-umpawan began his guitar lessons when he was 12. he had been the First Prize Winner of Yamaha Guitar Festival Competition in Bangkok for three consecutive years from 1985-1987. 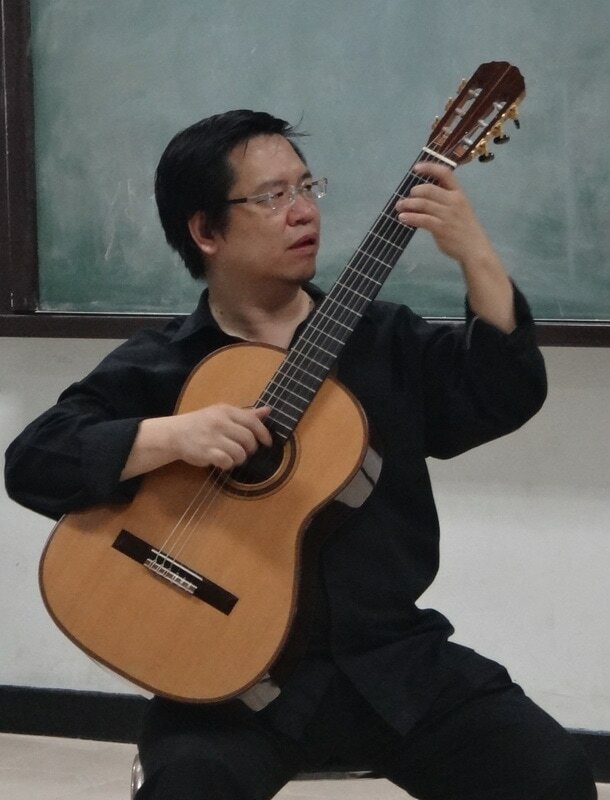 He started taking classical guitar lessons seriously In 1987 he entered the Faculty of Fine and Applied Arts, Chulalongkorn University and got a B.A. with second class honors in Western Music majoring in Classical Guitar. With his talents and skills in performance, he was invited to play solo "Chao Phraya Concerto composed by Prof. Bruce Gaston in 1993. Woratep was once again invited by one of the most famous musical institutions in Japan to perform in three recitals in April 2000. And in November the same year, he had an opportunity to take a private lesson with Mr. Eduardo Fernandez, the world famous guitarist, when Mr. Fernandez was performing a concert in Bangkok. Mr. Woratep used to be Head of the Guitar Department at Chinatkarn Music School in 1991. Moverover, he took part in founding the Bangkok Guitar Quartet and the Bangkok Guitar Society where he took the position of president. He founded 2008, together with Leon Koudelak, the Thailand Guitar Society where he took the position as CEO. Woratep performs at international guitar festivals in many parts of the world and often in duo with Leon Koudelak. His works such as Guitar Lai Thai I, II are available on cassettes and CDs. Woratep is the first Thai classical guitarist who performed worldwide at Internationals Guitar Festivals and become the first Thai classical guitarist well-known in the world. 2010 Woratep Rattana umpawan was appointed as head of the guitar departement at the Rangsit University Music College.